Twin Lens Life ~ Fine Art Film Photography ~ Los Angeles Southern California ~ Bwright Photography: Frankie Lives! This is the first of many future gifts from our new toy. His name is Frankie and he rocks! He has been a pet project of mine for the past 9 months or so. And yes he is a 4x5! Not just any 4x5... a relatively compact hand held 4x5! In the world of large format the words "hand held" are rarely used. But with Frankie I can get great shots at 1/4 of a second with no tripod and no ground glass! I don't have any images of him yet so I will be forced to use only words. His body is a Polaroid 160 Land Camera with a swapped out rangefinder from a Polaroid 900. I also swapped out his lens board with one from a Polaroid 110A which comes with a killer 127mm f/4.7 Rodenstock lens with a Prontor leaf shutter. None of these cameras have film available for them any longer so I cut a hole in the back and mounted a 4x5 Graflok spring back onto him. The result is a beautiful monster! Hence his name... Short for Frankenstein! 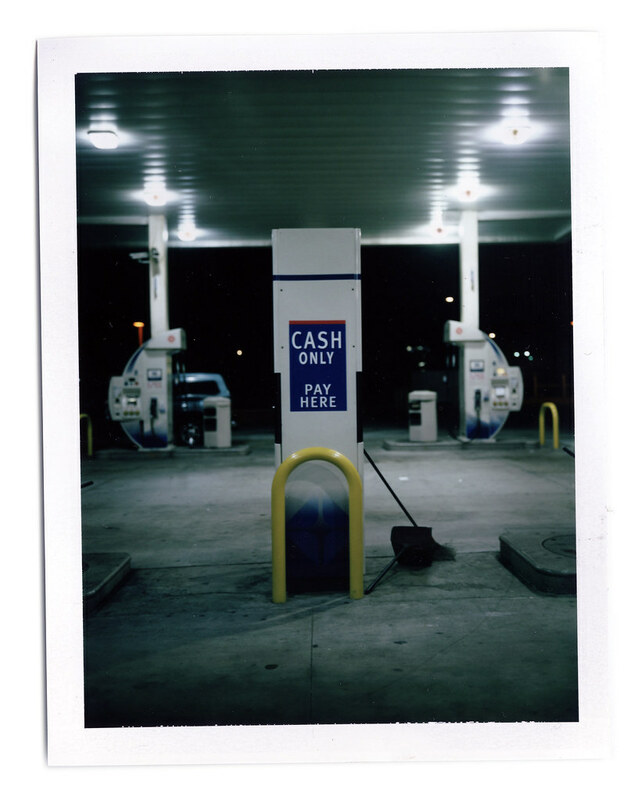 I was able to pull some shots off on some Fuji FP-100c45 thanks to the gracious Gia Canali who lent me her 4x5 Polaroid back to borrow. I can't wait to get some FP-3000B45 from Japan! Unfortunately it will cost me $4.20 a frame! Ouch! Unless someone out there has a hookup in Japan? Anyone from Fuji reading this? I can still get the the FP-100C45 for under $1.60 a frame though so I look forward to exploring a whole new world of instant photography... Large format! 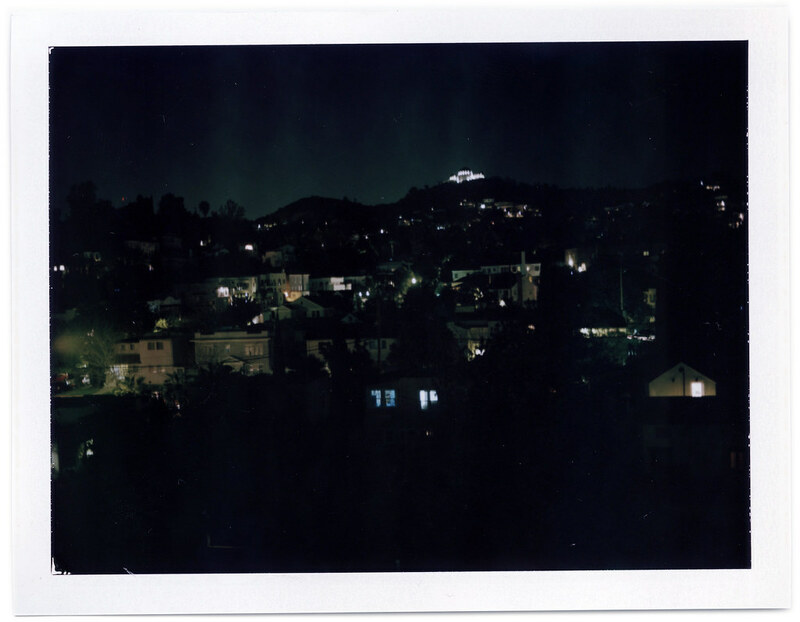 Here is a 2 minute exposure from the roof of my new apartment in Los Feliz. This is the view my wife and I will have to enjoy living in our first apartment together! By the way... I'm getting married! 29 days and counting and it couldn't come soon enough!